What do South African leopards, cedar trees in Scotland, junior farmers in Haiti and artists making Inuit footwear in a hip Toronto museum all have in common? They are all being supported by TreadRight, the international foundation of The Travel Corporation. Though there are many brands under the Travel Corporation’s umbrella, here in Canada you’d recognize Trafalgar, Insight, Contiki, Busabout, Lion World and Uniworld. The company is privately owned by the South Africa-based Tollman family. TreadRight supports an astonishing variety of good works around the world – all under the theme of sustainability. Examples range from assisting abused elephants in India to tackling the appalling amount of plastic in our oceans and helping tiny kiwi chicks in New Zealand get a leg-up on life. The Foundation is currently supporting 20 causes and since its formation 10 years ago has been involved in 40 initiatives in all (prior to the foundation of TreadRight, The Travel Corporation’s companies selected and supported their own causes). “Some causes need only momentary support but we increasingly realize that there is a tremendous value in sticking with a project for as long as we can – as long as they need us,” says Toronto-based Zach Vanasse, Assistant Program Manager for the Foundation. TreadRight is funded by the Travel Corporation brands and 100% of administration costs are picked up by the Foundation. Vanasse is particularly proud of the Manitoba Mukluk project, located at the Bata Shoe Museum in downtown Toronto. “We teamed up with them a couple of years ago to encourage young indigenous people to learn the art of making mukluks and moccasins from their elders, and support their heritage,” he explains. An exciting innovation for 2017 was the launch of a partnership with WE (formerly Free the Children), founded by brothers Craig and Marc Keilburger when they were just youngsters. 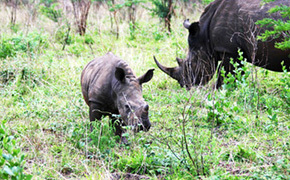 Now clients can add a volunteer tourism component at the end of a Travel Corporation trip to India, Ecuador and Kenya. What’s up for 2018? Vanasse is excited about a new wildlife initiative. All he’ll say is that it’s “four-legged” and “very special.” Stay tuned! You can find out more about the TreadRight Foundation here.